The Duplo 150C Booklet Making System uses a suction collator providing flexibility & productivity in a small footprint for short to mid volume jobs. 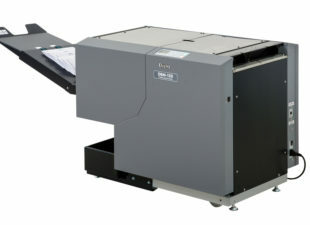 Small but perfectly formed, the Duplo DBM-150 is actually the world’s smallest fully automatic booklet maker and trimmer. That doesn’t mean it doesn’t pack a punch though. 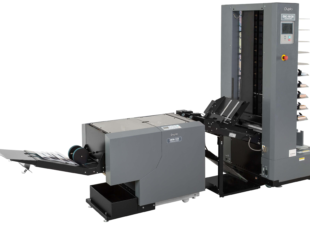 It is compact yet has all the features of much bigger booklet systems, making it a great fit for both digital and offset printers.